Spending time as part of the greatest fighting force ever assembled creates a sense of duty, honor, and pride that you want everyone to know about. 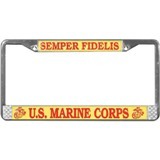 The best way to make sure that everyone knows about your affiliation with the Marines is to have it displayed on or in your vehicle. 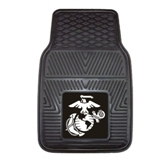 USMC automotive products will help you remember your glory days in the Corps. 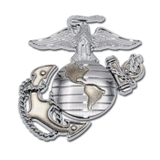 Show your Marine Corps Pride with Automotive products from eMarine PX. 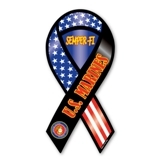 Great selection of hitch covers, car grill badges, sun shades, car mats, magnets, license plates and license plate frames and a whole lot more. 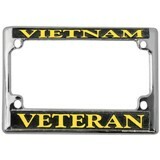 Get your Marine Corps car accessories below and show your colors. 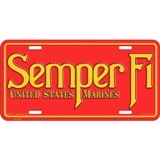 When Semper Fi is more than just 2 words, your vehicle should reflect your service. 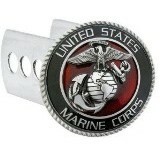 Order the accessories that show your love for your country and your fellow Marines. Oorah!